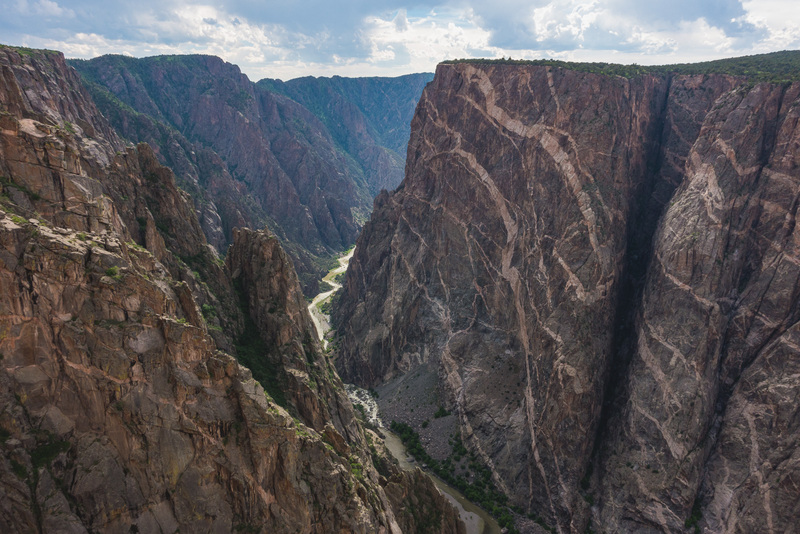 Black Canyon of the Gunnison. Read the Story. See the Photos. Visit. June 8 – 10, 2016: Upon arriving, in the early evening, at the south rim of the Black Canyon of the Gunnison National Park, we stopped at a viewpoint for our first glimpse of the 2,000 feet deep canyon that this national park protects. We’d see more of the canyon tomorrow; tonight we were focusing on “Half the Park is After Dark”, a common National Park Service tagline for viewing the night skies in dark locations. And, because Black Canyon of the Gunnison National Park is an International Dark Sky Park, we had high hopes for some amazing night sky viewing. We kicked off the evening at a 9PM ranger-led program about the space program. Although the information was all things we’ve read about at the Space Center Houston, Pima Air & Space Museum, or New Mexico Museum of Space History, the ranger did an excellent job presenting a history of our fifty-one years in space, the space missions, and the future of space travel to Mars with the Orion program. He ended the program with a message encouraging the attendees to simply be curious about space as over 50% of the world’s population lives in cities, hasn’t viewed the beauty of night skies, and therefore isn’t likely to be curious and value our space programs. So, as you can see, we saw a ton and we left a bit before midnight. The amateur astronomers were potentially out there until 3 AM sharing their technology and knowledge. I’m totally appreciative. The next day we spent exploring the south rim of Black Canyon of the Gunnison National Park. We stopped at every overlook and did a short 1.5 mile hike at end (High Point). The views were crazy – rocky, jutted, and striped (layers of rock from different periods produce different color variations) walls with sheer drops down to the river below. We left the park in the evening and retraced our path back towards Salida, through Curecanti National Recreation Area. As we neared Salida we were graced with a beautiful sunset.